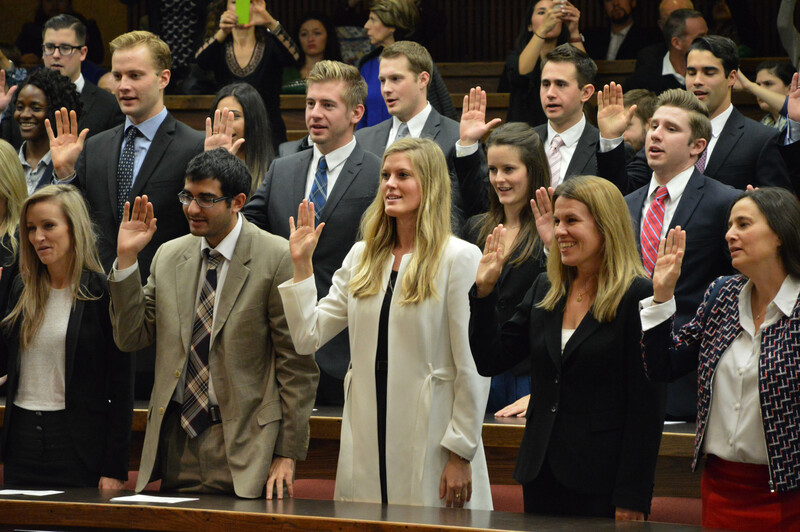 One week ago, fifty-six alums were sworn in as attorneys after successfully passing the difficult California Bar Exam (pictured above). And yesterday, over two hundred 1Ls completed the difficult first semester of law school. Both, significant milestones. And today, I complete the fifth semester for this “family and friends” blog. It has been a good semester, and I appreciate those of you who tag along for the ride. It is an honor to walk alongside these students day to day, and I hope you are as proud of them as I am. This blog will be on hiatus until January 2015. Although classes resume on Monday, January 5, the blog will not resume until Wednesday, January 7, after I return from the American Association of Law Schools National Meeting. May all of our students enjoy a well-deserved break, and may all of you enjoy a happy holiday season. Today is the day – the last day of final exams! For the student body, a much-needed break is on the way. And, to end the first-year students’ important first semester of law school–Contracts with Professors Boliek, Chen, and Helfand. It is the penultimate day of final exams! There is light at the end of the tunnel! We are starting to come down the home stretch! It is a rainy day in the Los Angeles area. Other than traffic challenges getting to campus, all is well at Pepperdine (other than seeing more rain than normal). We have a large (class size) upper-division final scheduled for the afternoon — Wills and Trusts with Professor Knaplund. And, our London students will be sitting for their Evidence exams with Professor Gash this afternoon, too. Today is a big day because it marks the first final exam for our first-year students. This afternoon, at 1pm, the 1Ls will sit for their Torts exam with Professors Han, Cupp, and Miller. Our fall semester final exams last for two weeks. Today is the first of ten days of finals fun.